Classic 45g - Take goodness wherever you go. Classic 45g - All the goodness of Loacker in a handy pack that goes wherever you go. Prepare yourself for a pleasure triumph of the finest cream - easily 71% of the product! - that releases mouth-watering pleasure between two crispy Loacker wafers made even richer by cocoa: your palate will go into ecstasy with Loacker Speciality Espresso! Preserve Strawberry 450 gr. - Darbo All Natural 4,70 EUR / 10,44 €/kg. Chestnut Jam 350 gr. - Plattner 4,90 EUR / 14,00 €/kg. 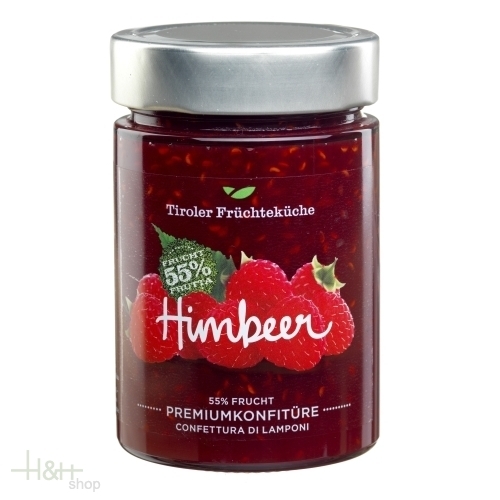 Mountain forest fruit jam extra 340 gr. Regiohof 6,45 EUR / 1,90 €/100 gr. Preserve Cranberry 2 kg. - Darbo 24,90 EUR / 12,45 €/kg. Preserve Blueberry 2 kg. - Darbo 19,55 EUR / 9,78 €/kg.